Barry Gray believes that Cliftonville would have got the better of Ballymena United in yesterday’s League Cup Semi Final had their performance in the last 10 minutes minutes been replicated in the 80 before that. 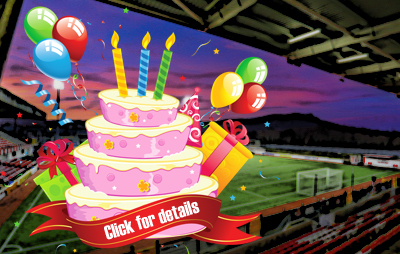 Though the Reds enjoyed the better of the first-half without being clinical in the final third, it was only when the Sky Blues pulled 2-0 in front that the visitors were shaken into any real urgency, with substitute Jude Winchester’s goal coming too late to spark a comeback that was nevertheless snuffed out when United took advantage of Cliftonville committing everyone – including goalkeeper Brian Neeson – forward for a last-gasp corner kick. Gray does not doubt his players’ ability but has grown frustrated by their lack of consistency in demonstrating it. “When you are up and down like that, you look to see if you have the quality in your squad to do it consistently,” he says. “We can’t fault the quality we have, but we’re either nine-out-of-10 or three-out-of-10, we get very little in around the middle unfortunately. “We kicked in far too late when we had nothing else to lose and that’s a sign of weakness. To be honest, I’d rather we’d been crap for the whole game. The fact that we issued 10 minutes of play at the end frustrates the life clean out of me – it’s nearly like a mental choice that you haven’t done it. 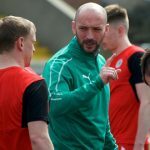 “In the last 10 minutes – when there is nothing at stake, nothing to lose – the proper Cliftonville comes to the fore again. That can’t be physical, it’s nearly like a mental choice because we hadn’t done it and now, because you really, really have to do it, you dish it out. It’s very difficult for a management team to deal with. 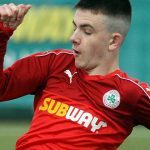 The Reds return to action in Tuesday night’s Danske Bank Premiership encounter with Warrenpoint Town at The Q Radio Arena, where Gray has called on his troops to draw a line under their inconsistencies. “It’s a massive week ahead for us, for very different reasons at this point than it could have been,” he adds.